60 to 70% savings on blow down water. 10 to 50% savings on labour cost. 20 to 30% of water savings. 05 to 15% of energy savings of cooling fan. 02 to 30% energy savings on Cooling Energy. 02 to 20% Saving on Boiler Energy in Power Plants. 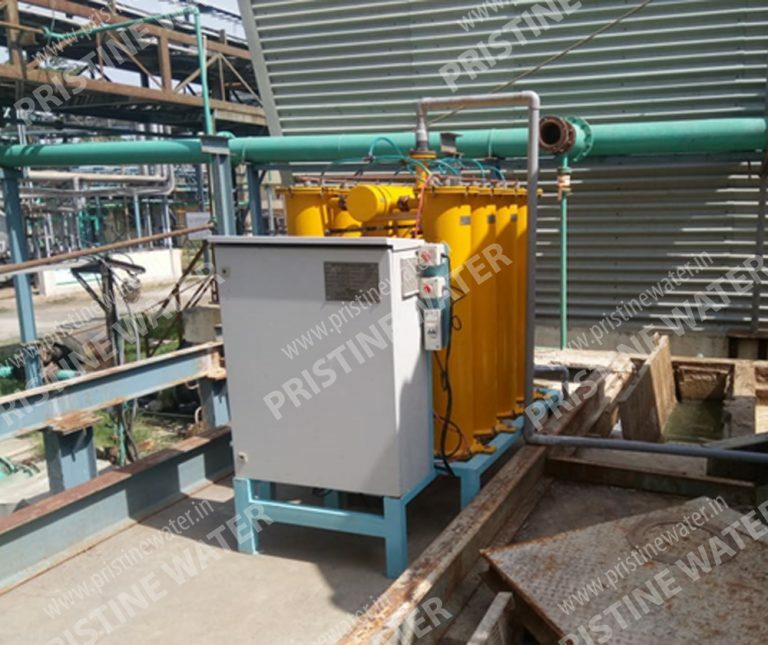 Pristine Water Electrolytic Scale Removal system is a non-chemical scale removal system that not just descales the heat exchangers of any cooling water circuit but also simultaneously disinfects the water so that algae, bio Fouling and growth of microorganisms is prevented. In addition to the above reactions, the chloride ions if present in the water will get converted to active chlorine at the anode. The introduction of hydroxyl ion (caustic) to recirculating cooling water results in conversion of bicarbonate to carbonate, fostering calcium carbonate precipitation. Electrolysis can provide the caustic to promote precipitation, capture, retention and removal mechanisms necessary to create a fully functional treatment strategy. 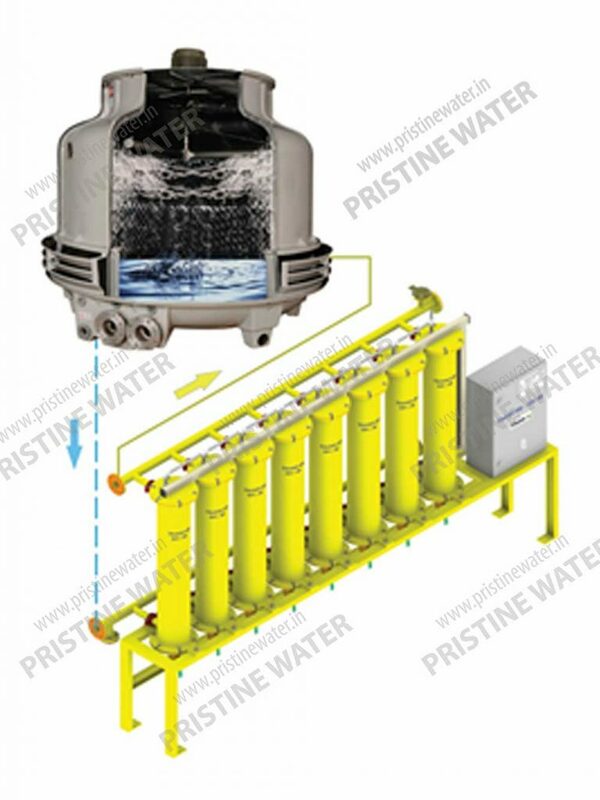 Pristine Water has designed and manufactured Electrolytic Scale Removal System which provides a proper environment for not only capture and fixation of calcium and but also produce required chlorine from the chloride present in the water. All this is done in a simple, easy to maintain system without the requirement of chemical introduction or handling. The system can be installed in the existing cooling water pipe work without any major modification. The system are most of the time installed as an side stream descaling arrangement.